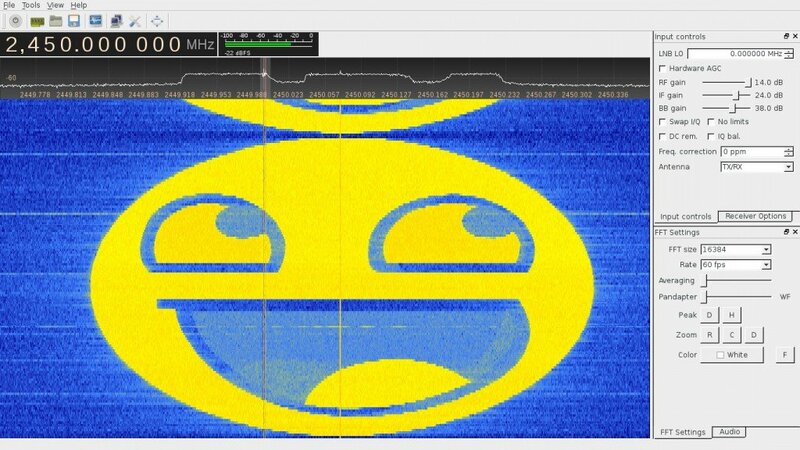 Last week several people from the Chaos Communication Camp conference and others on the #hackrf IRC channel were playing around with the idea of painting pictures on the RF spectrum with the HackRF – a low cost transmit capable software defined radio. 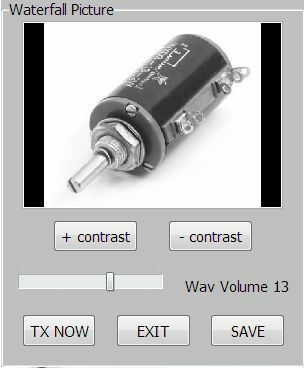 This idea works simply by modulating a signal so that it produces a desired image pattern on a frequency domain waterfall display. 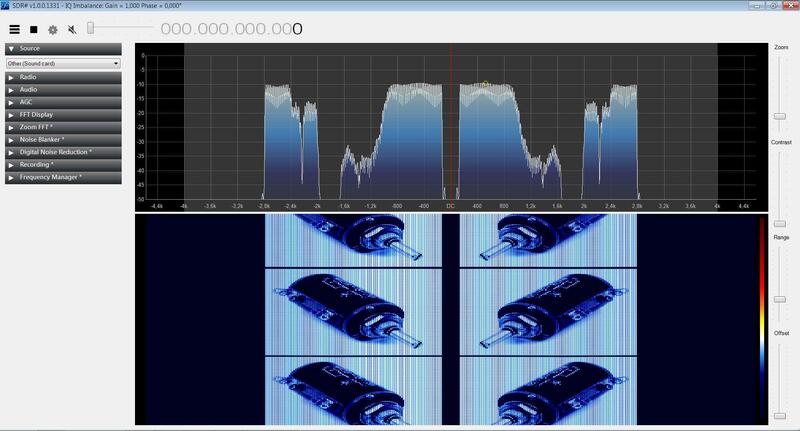 To make this easier to do, GitHub user polygon has authored a Python program called Spectrum Painter which easily converts an image into an IQ file which can be transmitted with a HackRF. 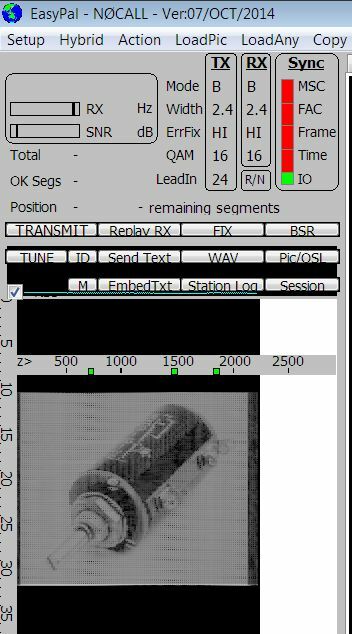 In addition as described in the Reddit thread linked above, a Windows program called Coagula can also be used to convert images into .wav files, which can then be transmitted on any capable radio. 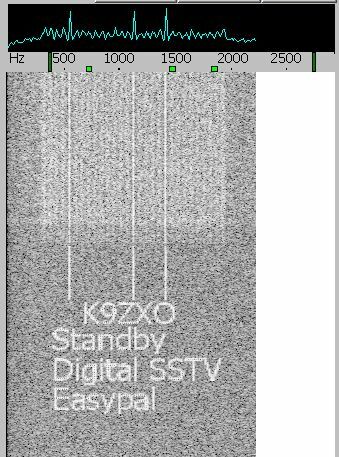 The RF painted images can then be received on another SDR radio like the RTL-SDR. As always remember to only transmit at a frequency you are licensed on, or at low power in a RF controlled environment. Below is an example image and video showing images being painted on the RF waterfall. Not a very new idea.